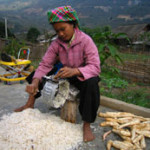 Sapa and Bac Ha market by bus from Hanoi, price from US$ 150 per person. The bus will go in the new highway to Lao Cai. 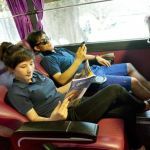 This bus trip is designed for travelers who both want to spend more times in Sapa with the most popular travel sites and visit colorful Bac Ha market with friendly services offered by Sapa Travel. You will save lot in comparation with travelling by night train. 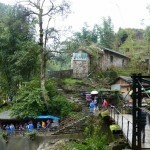 Let Sapa Travel take care the trip and just pax your lugguage and go. 6.30 – 7.00: Pick up from your hotel/stay, get on big bus and depart for Sapa. Note that we will Sapa Express for the trip. 9.30: Follow the new highway to Lao Cai city with the first comfort break. 11.00: Second comfort break at Lao Cai city before approaching Sapa. 11.30: Our bus will get you at Ta Van Bridge to Sapa. 12.00 Have lunch and enjoy free time in the afternoon do discover Sapa town by yourself. Have dinner on your own account and overnight in hotel. Please send the request to info@travelsapa.com at least 3 days before the departure. We will send you confirmation and invoice for payment. Sapa Travel accepts Visa, Master, Amex, JCB. Having your payment, Sapa Travel will issue the final voucher for your travel with the trip by Bus to Sapa and Bac Ha. You will find the details of how to come to the meeting point in Hanoi for the bus trip. 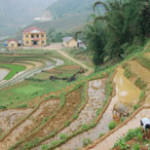 Once you checked out our itinerary for Bac Ha Market by bus, you can make any changes you wish. Sapa Travel is happy to amend and customize the itinerary as your wish. Book now for getting promotion rates from First Choice and Sapa Travel. M intetested in ur ba hac market package. Is there a possibility of one night homestay n another a hotel stay?..we r a group of 4 , plan for 21st august trip. please give us ur best quotation.